Hello Rabah. Could you please introduce yourself to our readers? My name is Rabah Shihab, I was born in Baghdad in December 1972. I lived there till 1994, the same year I finished my computer engineering degree from the University of Baghdad and completed the development of Babylonian Twins. I moved to Jordan, where I started an edutainment software division for a large company there, then moved to Dubai, where I co-founded a leading multimedia and Internet consulting firm (Cosmos Software) with some friends (including most of the Mesopotamia team). There, I led a development team of about 25 creative and technical professionals working on many pioneering multimedia applications. I currently live with my wife and two children in the amazing Grouse Mountain area in Vancouver, Canada. Weekdays, I work for Oracle developing enterprise software. During the evenings and weekends, I work on my own new media and social software projects. My hobbies include hiking and Ping Pong. When and how did you discover the Amiga? The dominant personal and family computers in Iraq were the MSX, Sinclair and NEC (all Z80-based), the reason being that they were imported and subsidized by the government. A strong gaming and developer community had built up around these machines. I bought my first computer (an MSX) in 1985, and I wrote my first program (a simple game in Basic) a year later. Not satisfied with the quality and performance of my game, I tried to learn Z80, but that didn't help much. I felt I needed a more powerful computer to satisfy my creativity. In the late eighties, some people started to import the Commodore Amiga. Those were mainly above middle class people who were also lucky enough to be able to travel, since travel outside the country was officially banned during that time. Gradually, video tapes of Amiga games and demos started to spread in the computer community, and people started to realize the power of that machine. I remember the first time I saw Defender of the Crown and Deluxe Paint on video tapes. Immediately, I fell in love with that machine and was determined to own one. However, it was not affordable for people of average income. With some hard work and saving, I was able to buy one eventually in 1989, if I remember correctly. I spent most of my time on the Amiga, appreciating and analyzing games and understanding the power of that machine. The only two games I spent much time on were SpeedBall and Kick Off, mostly competing with my brother and friends. You're from Iraq. What were the prospects for the Amiga in Iraq in the 1980s and 1990s? In the early nineties, the Amiga community started to boom and more local computer companies began to specialize in the Amiga. Many imported the Amiga 500 and then A1200 in quantities. The prices were still pretty high (at least three or four times their advertised price in Amiga magazines at that time). However, as more people started to buy the machines, prices began to drop. The number of Amiga owners was certainly in the thousands, but not more than three or four thousand, I would guess. Available software was mostly pirated, coming from Jordan and some Gulf countries. A few companies bought the pirated games, applied their own disk protection and then re-sold them at higher prices. There were no copyright laws in Iraq. As for Amiga publications, due to the economic sanctions, scientific publications were banned from entering the country and, unfortunately, people conducting the screening of imports often included Amiga books and magazines in the ban. However, some Amiga owners who could afford to travel usually bought these magazines and managed to get some into the country. Once in, photocopies would circulate among the community and some lucky people got access to the originals, but that was usually a few months after the publication date. As for Amiga books, they were very rare. In the whole country, there were maybe only two or three original copies of the Amiga Hardware Reference manual and the Amiga ROM Kernel books. We, in the Mesopotamia team, were among the very few lucky people who had access to them. Without these books, Babylonian Twins would never have existed. In 2007, your brother posted videos of your game, Babylonian Twins, on YouTube. Could you describe the game? Babylonian Twins is both a platform and a puzzle game. It is about the story of the twin princes of Babylon, Nasir and Blasir, and their quest to protect the throne of their father from the evil magic of Babylon's great sorcerer. The game has five levels, starting from the prison into which the two princes were thrown by the great sorcerer, moving to the Hanging Gardens of Babylon, Nimrud in Assyria, Ishtar Gate and the Processional Street, and then to the great palace of Babylon. Actually, one of my motives for building the game was to show the world that Iraq is not primarily a country of wars and sanctions, but a country of history, art and great culture. 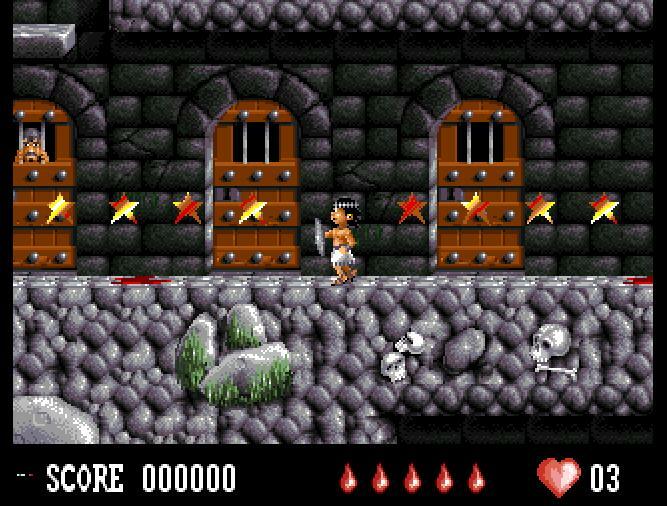 For this reason, most of the game's graphics were drawn from authentic history books and the game's original music uses traditional middle eastern instruments. The game uses a unique role-playing approach to guide the two characters in their quest. The player switches between the two twins to overcome the game's obstacles and solve its puzzles. Nasir jumps higher and uses a sword and Blasir has lower jumps and uses his fists. The game draws inspiration from two popular games. It has the gameplay and smooth, multi-dimensional scrolling of Team17's Superfrog, and the puzzles and role-playing approach of Konami's Knightmare II (Maze of Galious). I have put more information about the game on www.babyloniantwins.com including a down loadable demo. Could you tell us about the team behind Babylonian Twins? Myself, Murtadha Salman and Mahir Hisham are the core team behind the game. We were originally part of a group we called Mesopotamia, which included Auday Hussein and Ali Aboud, working on another game that, unfortunately, went unfinished. My friend Murtadha Salman did the graphics. He was a student of architecture at the University of Baghdad. His brother Nasr did the end of game graphics. It is interesting now that Murtadha was purely an artist, with no computer graphics experience at all at that time. Actually, he did not even own a computer. He would come to my house once or twice a week, where he learned Deluxe Paint and then used it to create all the game's graphics. Mahir Hisham, another old friend from high school, composed all the game's original music. Mahir is a talented musician. He was a medical student at the university of Baghdad (and now a brain surgeon). Mahir had his own Amiga and a little sound digitizer, which helped us sample the traditional music instruments. I designed the game, coded it and project managed the whole development effort. I used AsmOne for coding. All programming was done in assembly, with direct access to the Amiga chipset with DMA programming, etc. I also wrote a powerful game level editor, that we used in the earlier Mesopotamia game too. The Mesopotamia team, which also included my friends Auday Hussein and Ali Aboud, was working on another game around the epic of Gigamish. Auday and Ali were students in architecture at the same university. Ali did the Mesopotamia logo (Winged Bull) you see in the Babylonian Twins intro. Unfortunately, the other game was not completed at that time. Are you still in contact with other members of the Mesopotamia Group? What are they doing now? After that game, I moved to Jordan and then to Dubai, where I started a multimedia and Internet company with Auday. The company's name was Cosmos Software; Murtadha Salman and Ali were part of the team. The company had great success in that region, with many pioneering multimedia projects such as the first virtual museum for Dubai municipality, and a network of multimedia kiosks for British American tobacco, etc. Auday and myself moved to Vancouver, Canada, with Auday still in the game industry, developing software for PS3 and other consoles. Ali recently joined us in Vancouver, after spending a few years in Dubai designing great architectural projects. Murtadha recently moved to Australia. He is also an architect and, like Ali, spent a few years in Dubai designing high rise buildings. We are all still in regular contact via email. I lost contact with Mahir few years ago, but I recently found him again on Facebook. He moved to the States a short while ago. Could you give us some idea of the conditions in which the game was created? The main thing to keep in mind is that we were developing the game at a time when the economic sanctions against Iraq were at their height. Unemployment and inflation were sky high; people were struggling both to eat and keep a roof over their heads. I remember, during that time, people (including students and university graduates) were on the streets of Baghdad, either selling cigarettes or lining up in queues waiting to be picked up by the construction companies that were building Saddam's palaces. Saddam's palaces were probably the main economic driving force during that period. The pressure was extreme, and each family member had to contribute and earn money. My father, who had held a good job before the sanctions, was forced to open a grocery store to earn money. My brother and I often had to help him with this, and all the while I was a student at the university and had this game project going on. Also, during the period after the first Gulf war, the infrastructure of the country had been largely destroyed. Electricity was on for only a few hours every day, and there was no predicable schedule, so we had to save our work constantly. We did not have a hard drive, and saving many times an hour to floppy drive was a nightmare. To add to the complexity, my Amiga had only 500 KB of memory, so I had to switch floppies many times during a compile cycle. I remember replacing my Amiga 500 floppy drive at least three times. Actually, there was a big market for refurbished Amiga floppy drives, and people were creative in finding ways to fix them and convert PC drives to work on the Amiga. Auday was lucky enough to have a 500 KB memory expansion. He shared it with me a couple of times so I could complete my work. I only got my own 500 KB expansion after I was almost done with developing the game. In addition to that, summer temperatures in Baghdad were like hell (reaching over 50 degrees centigrade) and with unstable electricity, we could not have the A/C running all the time, so we not only had to watch our body temperature, but also our hardware temperature. I remember Amiga power supplies and TV modulators being the main victims. I also had difficulties contacting publishers for the game. You needed an official license to own or install a fax machine, and if you found a place to send a fax message, you had to be careful when corresponding in English, as that could leave you open, at the very least, to being questioned by Intelligence. I remember once receiving a fax message from a publisher at a fax machine belonging to one of my father's friends. He called us, alarmed, one night because he could not understand the fax content and thought it was something else. That was the last time I used a fax machine as a return address. Sending mail was another story altogether. We could send only letters, not disks. Therefore, in order to send a demo, it had to be mailed from Jordan. I had to wait for someone travelling there who was willing to accept the risk of carrying the disk through the border. This was totally prohibited without an official licence, and very often we had to apply for one in order to do so. My father was a great help to me. Although he was sick with a kidney problem, he went daily to the mail office to check for incoming mail. I still remember once when a lady working at the post office felt sorry for him and arranged to call him when there was mail. However, after all that effort, much of the mail I did receive was from publishers refusing to deal with us because of the economic sanctions against Iraq. That was really maddening. My father played a key part in this game. Without his support, understanding and belief in what I was doing, Babylonian Twins would never have been deveoped. As a father myself now, I look back at what he did and I think it was absolutely amazing. He had no understanding of computers or computer games, but he was probably more passionate than me for this project. I was lucky to have a great father who supported me during those tough times. My father passed away in Baghdad in 2001 after a kidney transplant operation, the reason being lack of good sanitization in the hospital due to the economic sanctions. 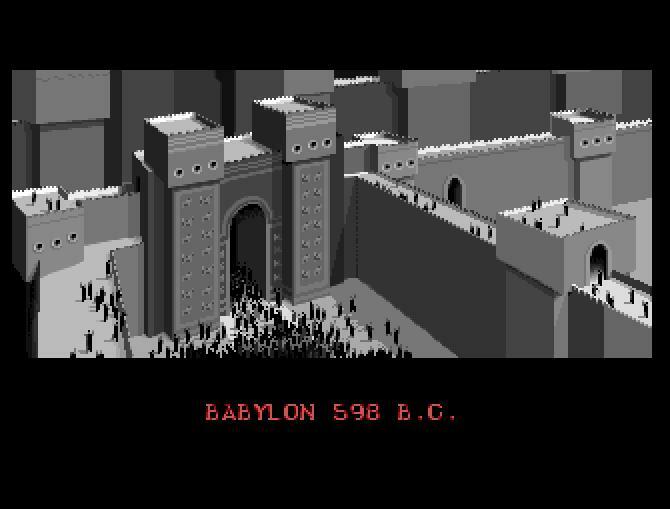 Do you think Babylonian Twins was the first video game made in Iraq? As yet, I have not heard of another commercial game developed before Babylonian Twins, either in Iraq or in that region. But knowing the Iraqi people, I would not be surprised to find that someone had done it before. Also, as I said, the Mesopotamia group was working on another game during the same period, but it was not finished. The developer community in Iraq was interconnected and we all knew each other to some extent. There were many other groups developing innovative business software and tools during that time. How did you eventually find a publisher? What is the legal situation concerning the game now? I assume you mean publisher here. In my effort to find a publisher, I basically scanned all Amiga magazines for publishers' names and addresses. I contacted amost every Amiga publisher at that time, which was not easy, and I have already mentioned some of the reasons for that. Many publishers did not respond, and of those who did, almost all were satisfied with the quality, but refused to deal with us due to the economic sanctions. I still have copies of some of the letters I received. The only positive response we received was from Legendary Design Technology in Canada, but unfortunately, after we signed a licensing agreement with them, they failed to publish the game or even notify us of their progress. That was extremely disappointing for all of us. I kept the game on my hard drives all that time. The game copyright is registered in my name at the Library of Congress. Apart from Babylonian Twins, have you developed other software for the Amiga? 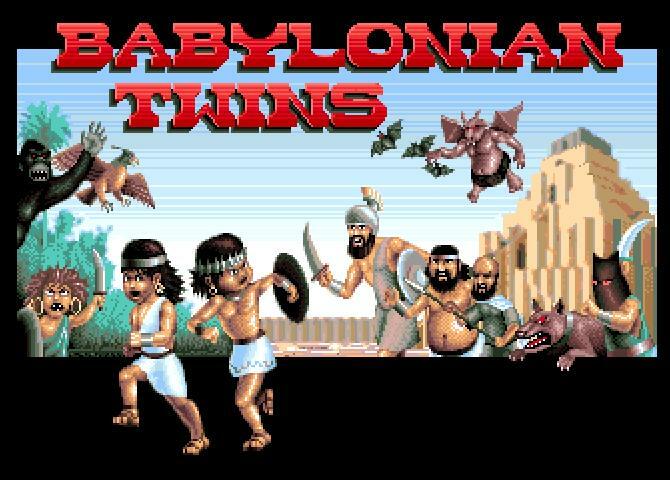 Babylonian Twins was my first and foremost Amiga software project. I also developed a map editor for designing the game levels that we used for Mesopotamia's other game project. Do you plan to release that game as freeware for the Amiga community? The full game (including source code, graphics and binaries) is sitting on my hard drive (actually, on all hard drives of all computers I have owned during the last 14 years). Whenever I browse the game folders, I remember the difficult times we spent developing it and feel sorry that it never saw the light of day. With the recent advances in hand-held and mobile devices, and the widespread use of digital distribution channels for games (such as iPhone store, XNA, etc. ), I started to think seriously about porting it so it can reach a wider audience. Once I am done with that, I will consider releasing the game on the Amiga. To be honest, I never expected to see such a thriving Amiga community at this late stage. I received thousands of hits on www.babyloniantwins.com after releasing the demo. I will definitely release the game on the Amiga one day. The game's value, strength and uniqueness all come together on that platform. It's really just a matter of time. However, I don't want such a move to get in the way of my plans to publish it to a wider audience on other platforms. So you plan to port the game to other platforms? Yes, I am researching a few options now. Some devices require working with publishers, and I am now trying to find publishers with this in mind. The other alternative is to publish it ourselves on platforms like the iPhone, Android or XBox. No, I don't, I had to sell my Amiga at that time to pay the government to avoid enrolling in the military service. I still remember I sold it for $250 US in early 1995. Do you still follow the news regarding the Amiga scene? Not so much now, unfortunately. I continued to follow Amiga news in the early years after the demise of Commodore. I used to buy computer magazines (such as Byte and CG World) just to scan them for the word "Amiga", which was often mentioned in connection with video rendering for CGI movies, etc. I was a PC user during that period, but I felt a surge of pride whenever I read that word. Also, I didn't have Internet access till early 1996, when I was studying for my master's degree in computer engineering in Jordan, so there was basically no way to keep in touch with the Amiga community. You've lived in Canada for some years now. Do you think it will ever be possible for you to go back to Iraq one day to work and live in "normal" conditions? I actually visited Iraq in 2004. It was in a very sad state. People there have really had enough. The difficult times we spent in the early nineties were nothing compared to what people are experiencing these days. Those poor people have suffered almost another ten years of sanctions and another war. I am positive that things will get better there. Iraq is a cradle of civilization, yet has suffered wars and sanctions many times in its history. The Iraqi people are smart and creative, and they know how to reinvent themselves. However, I think this will take some time, and it probably won't happen in my lifetime. But I won't give up hope. Thank you for giving me this opportunity to tell our story. I would never have imagined when I was developing the game in Iraq back then, that there would come a time when I could share my story with the Amiga community. It's wonderful how this great machine is still bringing people from different cultures and countries together after so many years.